Have you ever found yourself wanting to go for a ride, but with no particular destination in mind? Or taken a detour only to wind up feeling like a stranger in your own city? Interested in first-hand anecdotal accounts of the Big Apple through the perspective of veteran cyclists? 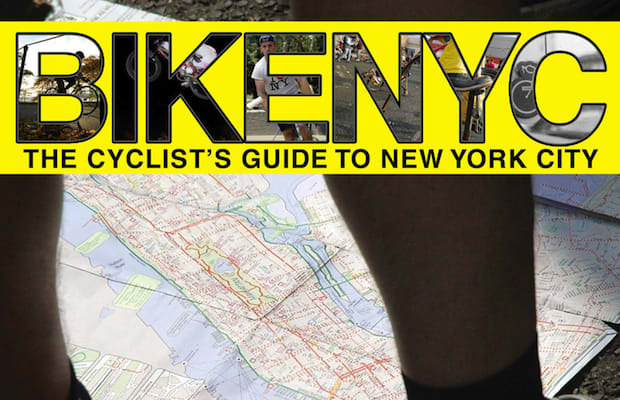 Well, Michael Green, Marci Blackman, and Ed Glazar have put this travel guide together just for you, NYC bike enthusiast. With suggested rides through lesser known locales such as Brooklyn/Queens’ “Cemetery Belt” and Fort Tilden in Far Rockaway, and first-hand accounts from seasoned riders, the guide is sure to pique the interests of anyone who’s ever seen the city through a rider’s scope and perhaps convince some who haven’t to get on a bike and see the city anew.